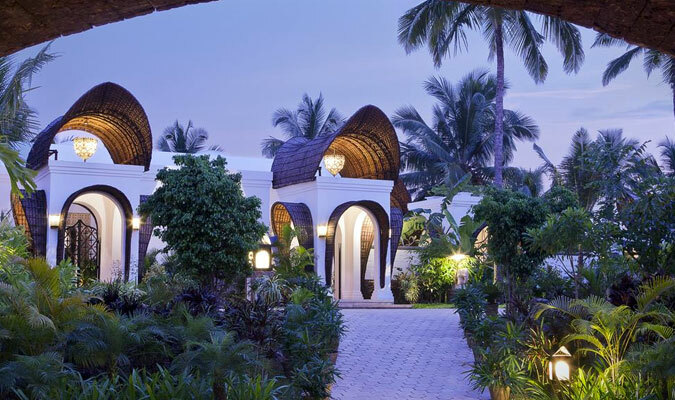 The tourists who visit Kerala for a relaxing time and wish to experience the traditional 5-star hospitality that Kerala has always boasted of must make a decision to stay in Vivanta by Taj Bekal. The hotel, situated on the shores of Kappil beach is covered with well tended greenery and stunning landscapes all around. 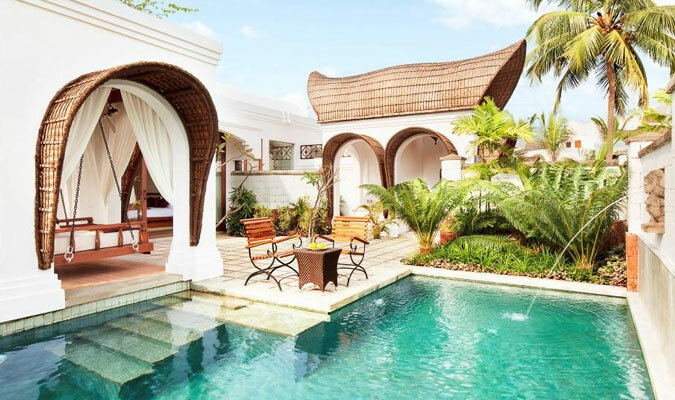 With an immense luxurious treatment and relaxing and rejuvenation ventures in hotel’s Ayurvedic centers, the hotel has a lot to offer to all the guests. Superior Charm Room with Balcony: These modern and spacious rooms offer amazing views of Kerala backwaters and gardens. The walls are adorned with traditional Chitra Pothi art. Superior Charm Room with Sit out: Tourists, who wish to sleep amidst amazing gorgeous surroundings on their cozy beds in their small private courtyard, must select these types of accommodations. 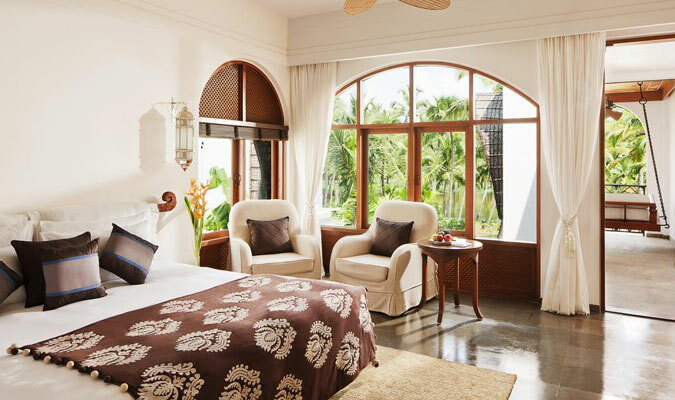 Deluxe Delight Room with Courtyard: These rooms offer larger courtyards with gorgeous fountains. Deluxe Delight Room with Plunge Pool: These rooms come with a private pool to enjoy in. 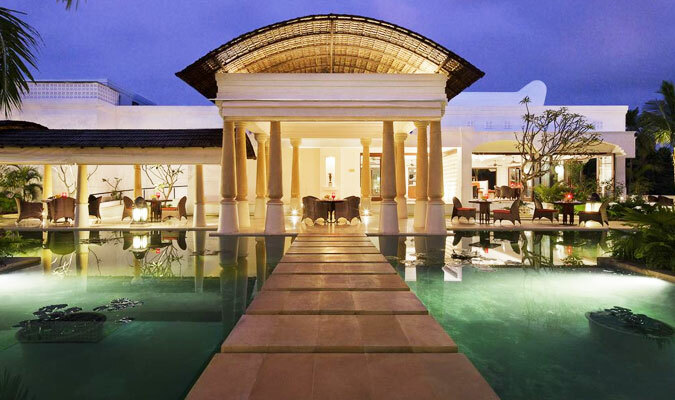 Premium Indulgence Room with Plunge Pool:These rooms are more spacious than the above category and house a much larger pool as well for a bigger swim. 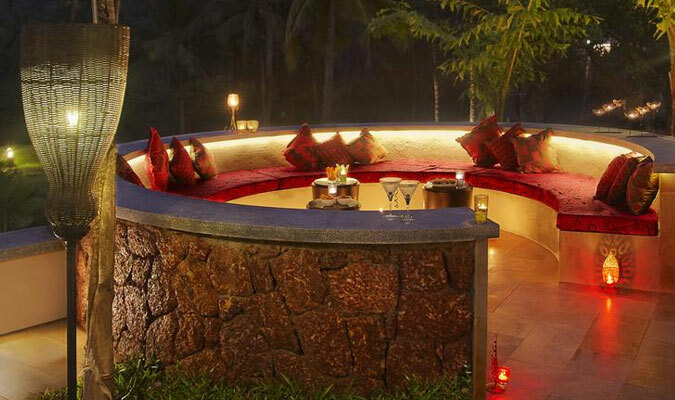 The dining experience in Vivanta by Taj Bekal is a trademark of a 5-star Hotel. The specialty restaurants in the hotel serve amazing food from all around the world along with a stylish atmosphere and captivating soulful music in the background. Latitude: Serves lip-smacking Continental and Indian cuisines. BBQ: Poolside establishment known for delicious grilled food.